As the New Year begins I eagerly await the first signs that flowers will soon be appearing in my garden bringing with them the colour which I have missed over the winter months. It is usually a race between snowdrops and primroses as to who will appear first. This year the prize just goes to a new small clump of primroses. Several clumps of snowdrops were hot on their heels and also a particularly adventurous crocus ‘cream beauty’. The native primrose, primula vulgaris, is a favourite of mine appearing early in the year and lasting throughout spring. They fill in the bare areas where later on perennials will appear and cover them over. I started out with just one pot from a garden centre and over the years have divided them and moved them around the garden. They also readily self seed. 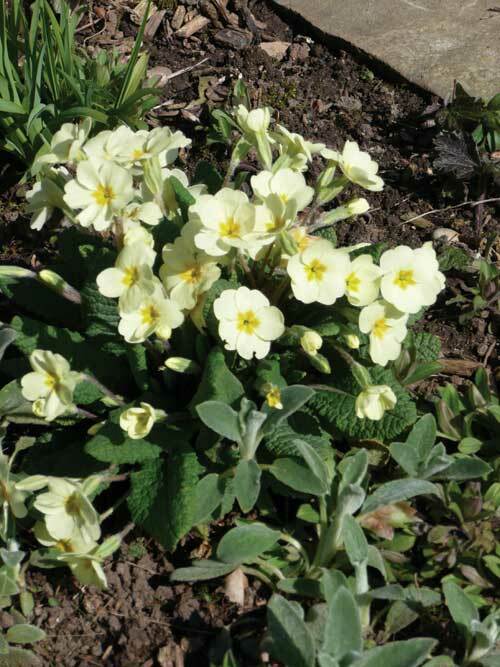 Once primroses have finished flowering in late spring or early summer they can be divided. 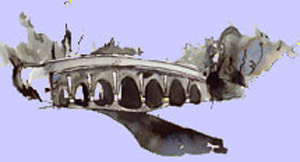 After a few years a single plant will enlarge into a clump and will be ready for division. Once lifted, the clump can be carefully teased into single plants and those with a good root and a reasonable number of leaves replanted. I have found that it is best to replant in a shady area as they can wilt under the summer sun and fail to establish. They also need to be kept well watered over the summer until they have established. I have quite a few clumps of snowdrops around the garden. I like to have them near to a path and especially where I can see them from the shelter of the house on a cold winter’s day. As the clumps enlarge and become congested, flowering can diminish, so every few years I lift and divide them. I have found that this is best done just after flowering to get the best results. I have also found that new ones are best bought in a pot in flower and then planted out. I do not always remember from year to year where they have been replanted, so I have a lovely surprise when they first start to appear the following spring. Another cheerful reminder that spring is on the way is the sight of a patch of crocuses as they open up for the first time on a bright sunny winter day. To help brighten up dull winter days I am developing a drift of dogwoods in the front garden for the winter colour of their young stems. I have planted three different ones to give varying colours; Cornus alba ‘Sibirica’ which has bright red stems, Cornus stolonifera ‘Flaviramea’ which has bright green stems, and Cornus sanguinea ‘Midwinter Fire’ which has stems that are bright red at the tips changing to orange and yellow down the stem. It is the young stems which have the brightest colouring, so I prune them to just above ground level in late March or early April to encourage more new young growth. 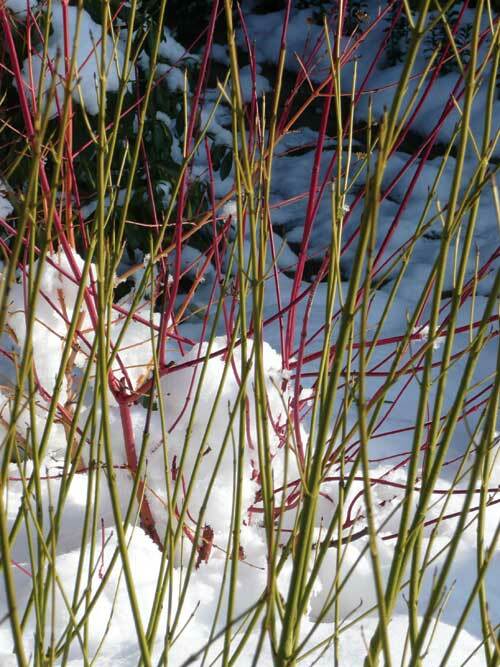 These stems shine brightly in a low winter sun, especially with a snowy backdrop, and add welcome colour throughout winter. I have under planted the dogwoods with snowdrops and yellow crocuses and these clumps are now beginning to develop looking particularly good against the green stems. The snowdrops, primroses and crocuses will before long be joined by pink and blue pulmonarias, white arabis and yellow daffodils as winter moves into spring bringing with them a reminder that the garden will soon again be filled with colour and the dull days of winter will have passed.